We offer Cotton Stickers. We are named as one of the overriding cotton Stickers Manufacturers from India. 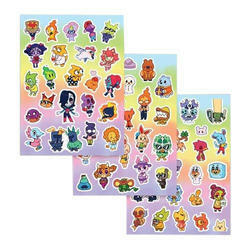 We offer an inexplicable range of cotton Stickers that are lively and attractive. These are designed in novelty of designs and captivating patterns. Printed Stickers in Navi Mumbai We design and print a complete range of danglers that can be availed from us as per the specific requirements. As the danglers are an important means of advertising and promotion, so we take care of all the specific professional requirements of our clients.